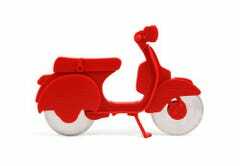 Even though pizza is actually Greek in origin, it's usually associated with Italy—which makes this adorable Vespa-styled Motorino pizza cutter particularly apropos. Its design isn't just a gimmick, though. 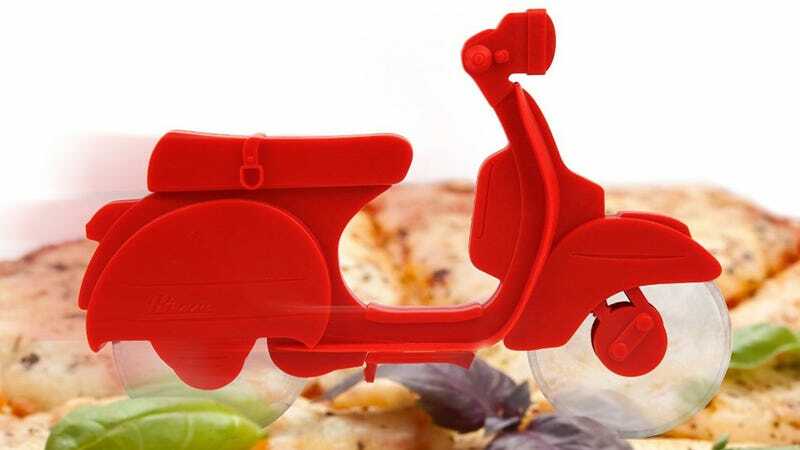 With a pair of pizza wheels you should be able to slice through your pie in half the time, and a built-in working kickstand ensures it's not going to topple over on your counter when parked. It's just $8 too, so what other reason do you need to add this to your drawer full of other rarely-used kitchen contraptions?